Born in Morelia Michoacan, Mexico, Torres started drawing and painting at the age of 7. He was a student at the Universidad de Morelia and by his 9th birthday he started studying with the great Mexican Muralist Alfredo Zalce. He was his pupil for over 20 years. 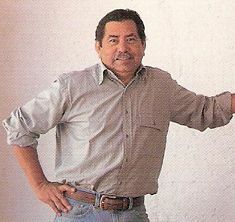 He has built houses and haciendas as an architect as well as becoming a great teacher of painting and sculpture. His cane paste and clay seminars are famous in Mexico. "I gave a class at the Escuela Popular de Bellas Artes at the Universidad de Michoacan when I met Juan Torres. He was very young but very soon he became one of my best students working with ceramics, silver, sculpture, drawing and painting. He was very dedicated and always got good grades. His art matured when he graduated from school. He always got good reviews from critics and art connoisseurs. I let him go to help him develop a unique style. School gave him the means to become successful but he went on from there. My work was to give him the little knowledge that I have."